Several months ago I bought 23andMe’s Personal Genomics test kits for my wife and myself. 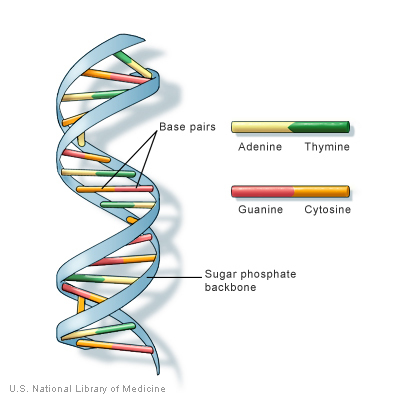 23andMe is a DNA analysis service providing information and tools for individuals to learn about and explore their DNA. Using an Illumina HumanOmniExpress-24 format chip, 23andMe detects single nucleotide polymorphisms (SNPs). 23andMe then analyzes the SNP data and provides reports on ancestry composition (what countries/regions your ancestors most likely came from). Prior to November 2013, 23andMe also provided health risk analysis (certain cancers, risk of heart disease, response /reaction to various medications) and physical trait probability – from eye color to ear wax type. Sadly, the US Government (Food and Drug Administration – FDA) has forced 23andMe to stop selling its health risk service, as the FDA considers the interpretation of DNA data a medical device. Apparently the nanny state government has again decided that they are the only ones who can save us from our fearful, ignorant, incompetent selves. 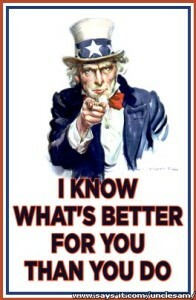 If you want some very clear arguments on why the FDA is overstepping their regulatory boundaries and doing more harm than good in limiting the ability of consumers to purchase personal genomic information from whom they choose see this letter: http://slatestarcodex.com/2013/11/26/a-letter-i-will-probably-send-to-the-fda/. While the science may not be perfect (but is fast-moving), the combination of innovating firms, big data analytics, and affordable individualized medicine is powerful. Damn poor timing by the FDA to shut it down…. Fortunately, my wife and I were able to engage in unregulated commerce with 23andMe and got our health risk and trait analysis completed before the FDA ruled on my incompetence as a medical consumer to evaluate data and then to discuss my genetic findings, along with my lifestyle, habits, and environmental health factors with qualified medical professionals of my own choosing. So now I have some data points about what medical condition might kill me (spoiler alert: you will die someday, of something), unless something else kills me first (a much more probable car accident, falling off a ladder, a giant sinkhole opening up and swallowing me into the Earth from which I came, poisoning by my wife for one to many snarky comments – the possibilities are endless!). You see, having access to this information is important to me as one of my parents was adopted, so next to nothing is known about their biological family’s disease history, other than knowing that the biological father died at age 49 due to some sort of medical condition (i.e. not an accident). I also have an adopted sibling who knows even less than I know about my biological grandparent’s family (more on adoption and DNA here: http://dnaadoption.com/Home/CanDNAtestingreallyhelp.aspx). Just before Christmas, I bought a SNP test for this sibling – this time from Ancestry.com (23andMe’s ability to sell was in question at the time, although I am hopeful that they will obtain the FDA’s permission to resume marketing their health analysis service soon). Since receiving my results, I have explored several ways of using the data to better understand myself, my health risks, my ancestry, and to find possible relatives based on DNA data. My sibling has since received their Ancestry.com DNA SNP analysis results so I thought I might share publicly what I have discovered you can do with your own SNP DNA analysis data – whether from 23andMe, Ancestry.com’s AncestryDNA, FamilyTreeDNA or other providers of personal genomic services. The good news is that your raw data is valuable and able to be used to report on ancestry, health risks, medication responses and physical traits at a variety of services beyond the services that 23andMe and AncestryDNA provide (can’t stop progress, FDA). Here’s several ways you can make greater use of your DNA data. While 23andMe is not currently able to provide health risk analysis due to the FDA’s shortsighted actions, you can still have your 23andMe Raw Data analyzed by other sites. Some of these sites use 23andMe findings in their own analysis. Before you get too deep into the health risk bit, remember that this is not an exact science. There are many factors beyond SNP variations that determine your health risks, including behaviors (smoking, alcohol consumption), nature (radon exposure, a parent with Agent Orange exposure), or nurture (diet as a child). Some of these non-genetic factors may introduce more risk of a disease or condition than simply having a variation in a certain SNP. Results are not a guarantee that you will have the illness identified; you are only seeing a probability or risk. If normal probability of a disease is one in a million, and your risk is 3 times higher, that’s still a pretty small number. The most detailed health reporting tool is SNPedia’s Promethease. 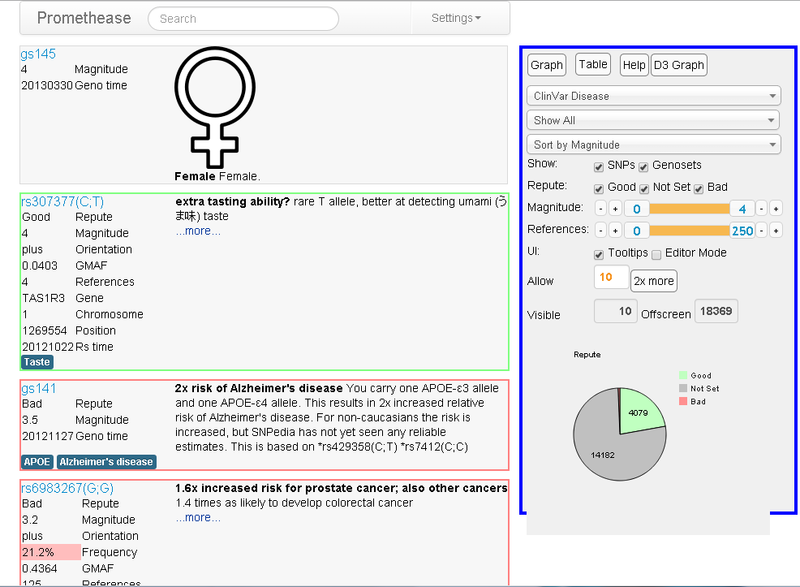 Promethease analyzes your raw data and matches the data points that you upload with entries in the vast SNPedia database to provide a detailed report of variations that are tied to health risks and other traits. You’ll want to experiment with filters on your Promethease report to eliminate findings of bad repute or low quality. Talk to your doctor about the findings in the report (take a copy with you). Some doctors don’t quite know what to do with consumer-driven genomics, but good doctors will take an interest in the data and help you understand what the findings mean to your long-term health plan. 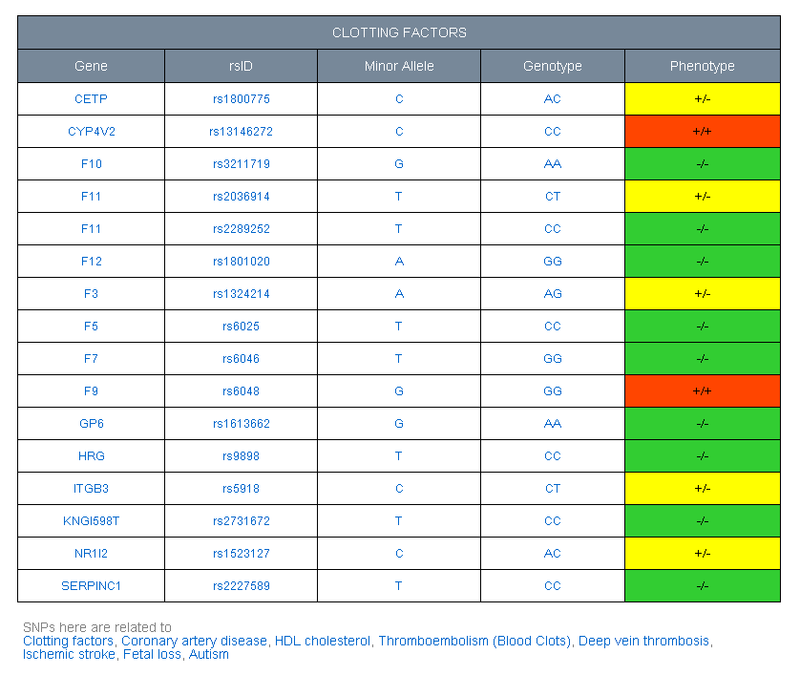 Interpretome (http://esquilax.stanford.edu/) is another web-based tool that provides analysis and reporting on health risk, ancestry, and Neandertahal makeup using your 23andMe or Lumigenix raw data. 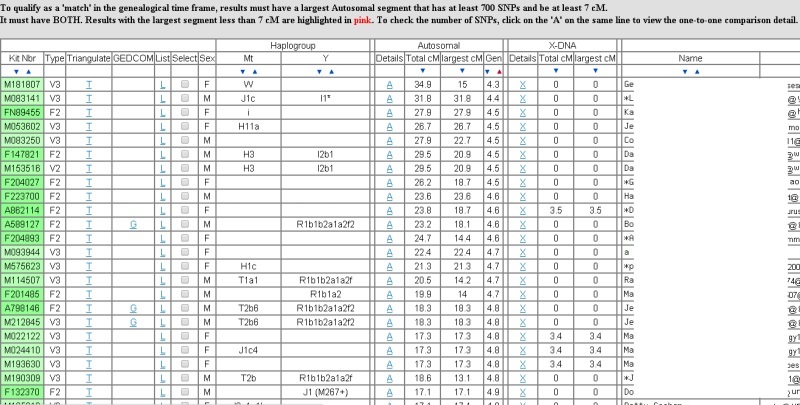 You’ll have to convert your Ancestry.com AncestryDNA data to 23andMe format to use Interpretome (there’s an Excel spreadsheet with a macro that can do the conversion here: http://boards.ancestry.com/thread.aspx?m=132&p=topics.dnaresearch.autosomal&dc=50). To get started, click the ‘Begin Exploring’ button in the upper-right hand part of the page. It is natural for humans to long for a sense of belonging – a sense of where we come from and a knowing we have a small place in the history of our species after we take our final breath. I’ve taken an interest in genealogy for this reason – it gives value to the history of those who came before me in creating the today that I live in and gives me a sense of contributing to the future of my family and the human race (as an aside, I just finished reading The Rational Optimist – when I overlay the themes in the book with genealogy I see a greater degree of connectedness in this grand journey of humankind on this earth). So it is only natural to seek out those who share a bit of our common heritage as relatives, adopted or not. Using DNA analysis as a method of finding ancestry and locating close as well as distant relatives is possible through comparing a DNA sample against samples known to be from a specific country or region. If you share some common bits of DNA with those known samples, it is a safe bet that you share common ancestors from the same region as the known sample. Locating relatives works in much the same way – the more shared DNA data points, the more likely you are to share a common ancestor. The more shared DNA, the closer that common ancestor is to the matches. Using triangulation, you can determine where those ancestors live on the family tree (If you and 4th cousin Joe share certain bits of DNA, and Joe and Jane (a 3rd cousin to you) share certain strands, you can begin to identify where that common ancestor is. So the more data points (that is, the more people who share their DNA), the better for identifying relatives. The cousin level (2nd, 3rd, etc.) is a guess based on how much shared DNA you have. Remember that you have 32 great-great-great grandparents. If someone is your fourth cousin, that means they share one of those great-great-great-grandparents with you. (see this Wikipedia article for information on cousin distances: http://en.wikipedia.org/wiki/Cousin). Take it several more generations and you find that you have 4096 10th-great-grandparents – a common 10th-great-grandparent between two people means that you share one of those 4096. There is a good chance that you won’t be able to ever find out who that common relative is. 23andMe has located several close relatives based on my own DNA tests (My Ancestry.com DNA results are pending) based on shared bits of DNA with others in their own database. Ancestry.com does the same – matching individuals in their own database. There is no way currently to upload your Ancestry.com DNA data to 23andMe or vise-a-versa. If you want access to either 23andMe or Ancestry.com DNA relative finder databases, you’ll have to take a test with that company. Fortunately, the test is fairly cheap at both sites, so take both for access to both databases. There are also 3rd party sites where you can upload your 23andMe and AncestryDNA raw data for analysis and comparison against other individuals in the database. Using these services casts a wider net in a deeper pool when it comes to finding possible relatives. GEDMatch is a great open tool. Uploading your data to GEDMatch is quick, easy and free. Processing takes some time (weeks for me, but it seems to be going faster now). Once your sample is analyzed, you can log in and see matches. GEDMatch has triangulation tools built in, as well as many other powerful analytic tools. I’m just getting started with GEDMatch, so I can’t provide too much as far as instructions go. The picture below shows some of my GEDMatch cousins. I also uploaded my data to FamilyTreeDNA (FTDNA). FamilyTreeDNA provides several different DNA tests specific to males or females (looking specifically at X or Y chromosomes), as well as tests that look at your maternal or paternal DNA details. For $69, you can upload your AncestryDNA or 23andMe DNA results to FamilyTreeDNA. That data will be analyzed and compared to their large database of individuals to find possible relatives. The picture below shows some of my FTDNA relatives. There are many other ways to analyze, interact with, and compare your DNA test results besides those I have listed. The following sites offer far bigger lists of tools, sites and databases you can use, as well as tips on how to get started. Feel free to leave a comment below if you have any other resources or tips for using your raw DNA data. Hi Joshua. I would appreciate if you could leave a link to http://www.dnafit.com — this allows access to 23andMe customers to get more value from their 23andME data. Joshua.. perhaps we let you do a free test and then write about your experience of the results and if you see value? I’d be willing to check it out and share my results. having said all that are you putting us on, distorting the data for privacy or do the reports use dumbed down canned language? – one of the results above say “1.6X increased probability for Prostrate cancer… really? the sample is from a female. There are concerns for privacy with DNA testing – a topic much broader than a comment on a blog post. Privacy and security should be considered when testing and sharing your results. While there are some laws in the US aimed at preventing abuse of DNA testing results, there is still the possibility of disclosing personal identifying and information that could be used against you (increased health insurance premiums for example). Let’s say, for example, that future research correlates prostate cancer risk with female Skene’s gland (i.e. female prostate) cancer, cyst or other risk. This result would then have immediate consequences in understanding your risk of Skene’s issues. Your genetic makeup is inherited by your offspring. If a female has a son, that son is likely to inherit that same mutation, putting him at a higher risk for prostate cancer. Combined with your spouse’s DNA, that risk could be much higher (or lower). Being armed with the results allows you to discuss the risks with your doctor and equip your son with the knowledge he needs to detect symptoms of the disease earlier in life than if he did not know the increased risk. Picture this – a nice family holiday gathering where you and your adult brother (who has not done DNA testing) are commiserating on the effects of aging on your bodies over a couple drinks – achy joints, grey hair… then he complains about getting up many times a night to urinate but then has difficulty starting the flow and when it does go it is weak and interrupted. That might be a good time to share your results, because after all, you both likely share much of the same risks having inherited your genes from your parents. This is a rapidly expanding field, with new findings every day. The volume of data per individual is astounding and is still being interpreted. Until we perfect our understanding of the data and ability to clearly report an individual’s risks we’ll have to deal with generalizations. Being a wise consumer of the data allows you to use it now, even if you have to extrapolate some of the risks reported. There are laws in place that restrict insurance companies from doing such thing. Read up my friend. If that was the case, then all companies would require a DNA test prior to enrolling for benefits. Thanks for the comment! You are correct – in the United States the federal GINA law prohibits most health insurance providers and most employers from discriminating on coverage / employment based on genetic testing results. However, the law does not cover life insurance, disability insurance and long-term care insurance. Also, employers with fewer than 15 employees are not restricted under GINA. There is also some gray areas – for example, if I disclose my predisposition for breast cancer on my Twitter account could a health insurance company use that to calculate increased premiums or loss of coverage? Maybe – they’re not directly using my genetic testing results, they’re using my self-disclosed statement of risk (the same as an insurer using your disclosure of smoking on an application form to make a coverage decision). Insurance companies using social media for coverage decisions is an ongoing issue (see this 2012 article: https://verdict.justia.com/2012/01/03/will-insurers-begin-to-use-social-media-postings-to-calculate-premiums). There are many legal protections in place today, but many outstanding questions we’ll need to answer as health insurance coverage, genetic science and legal opinion all continue to evolve. If a particular gene carries with it a 1.6% increased risk of prostate cancer (or whatever was listed; sorry, as I type this the earlier comment is not showing), that is what the information for that gene will display on the report. They expect the reader to use the common sense to realize that this probably has little direct impact on a female carrier of the gene. Can raw dna data from family tree dna be uploaded to 23andme? I am not aware of a way to upload 3rd party tests to 23andMe. Also do you know if I would get better results if I had my Father do the DNA testing as well? 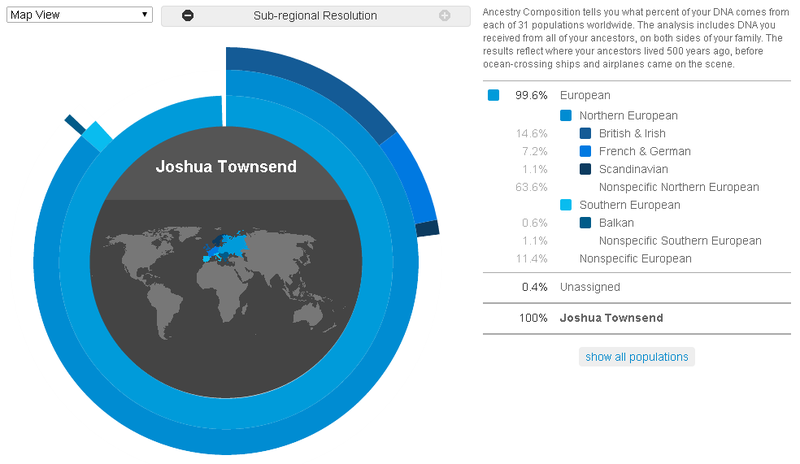 I’ve had little overlap between my matches on 23andMe and Ancestry.com, so I think it is worth it (although it is a bit more work to manage two). The Ancestry.com results can be uploaded to FamilyTreeDNA.com (the newer v4 tests from 23andMe can’t be uploaded to FTDNA yet, but you may have got the v3 test so it might not matter). 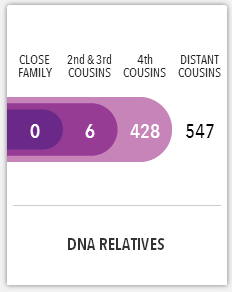 As for people not responding, most distant cousins aren’t going to provide much info so I wouldn’t worry about it. Closer cousins who have a family tree built are worth bugging a couple times for info – you’re more likely to get good info from their data. This is another area where Ancestry.com comes in – the extensive records and other peoples trees on the site makes it easier to figure out how you might be related to a match. Having your father tested is a good idea – not only will it help you figure out which side of your family a match is on, but the raw data could be useful today and will most likely be much more useful in the future as science progresses. You may find some genetic variations in his DNA that could shed light on your health or the health of your children. Get the testing done now while you still can (I recently had my mom tested and it’s helped narrow down relationships and has given me some interesting medical info when I analyzed it with Promethease). Link to transfer 23andme.com and ancestry.com data to Family Tree DNA for free with 1st 20 matches immediately shown! Joshua, did you try raw data analysis servis ch3enko.com? Hi Joshua, Thank you for taking the time to inform us of your findings. Could I gain the same amount of medical information from using the RAW data from AncestryDNA to produce a report with Promethias as 23andMe? From a genealogical perspective I am drawn to AncestryDNA, however I wish to receive the medical information that you can get from 23andMe (UK version). Promethease will give you much of the same health info as 23andMe, but it a bit harder to read. Ancestry will give you the best genealogical info, and then you can export your raw Ancestry.com DNA data and upload to Promethease and GEDmatch to extend the value. You can also upload to Family Tree DNA for a fee to find more cousins…. You can get a lot of this information from Ancestry via Promethease; however, readers should be aware that Ancestry doesn’t test for as many SNPs, since it’s only really interested in genealogy. So, in my opinion, if you’re primarily interested in genealogy but the health stuff is a nice side benefit, Ancestry (and then uploading to GEDcom and importing to ftDNA, if you want) is the best bang for the buck, and you still have the option to run it through Promethease and find out a bunch of other cool stuff. But if your primary interest is the health information, it’s probably better to spring for the 23andme, because it’s going to tell you more. Thank you. I’ve sent my sample off to Ancestry so eagerly awaiting the results. If this along with my Promethease report doesn’t quench my interest I may well go down the 23andme route at a later date. According to http://isogg.org/wiki/Autosomal_DNA_testing_comparison_chart ancestrydna tests more snps, 682,549 vs 23andme’s 577,382. Ancestrydna has 1.5 million ppl in the database vs 1.2 million in 23andme as of March 15, 2016. I did 23andMe and am very happy with the information I received from Promthease and codegen.eu. Both were easy to use. You can look up a specific disease like Dementia and then narrow in on your Good vs Bad genes. I also paid $19.99 for livewello. They gave only a small amount of information in reports and then ask for more money to “unlock” the rest of my reports. So I emailed them asking them to cancel my account and refund my money. I did this the same day I purchased it. They did not respond to my email. So then I emailed and asked if they could temporarily unlock the other reports to see if it is worth the extra money. Again, no response. LiveWello gives very little information, it is NOT user friendly and the site is full of people questioning about specific genes and what it means. In other words, lots of people looking for answers but nobody answering them. I am writing this so other people do not waste their money. Hello Joshua, do you know Genomapp? It analyzes raw data from 23andMe, Ancestry, FamilyTreeDNA and GenesForGood, among other providers. It is available for iOS and Android phones so you can carry your reports with you anywhere. Its handy and friendly interface makes it easy to read and understand the reports. You can see some screenshots in http://genomapp.com/ Feel free to contact us if you have any question. Thanks for the very helpful information. I realize it might be a little dated now, but I was wondering if your sibling, the one who was adopted and knew nothing of her birth family, received satisfactory results and, if so, how s/he defined satisfactory. Were they enlightened by the health reports? Were they able to locate any blood relatives? Was that even a concern for them? Found My Fitness has a great free genetics tool that will interpret your 23andme raw data and also include tips of applicable life changes. I want to suggest a correction. I believe you have confused the meaning. Repute doesn’t refer to the quality of the finding it relates to whether the finding has a good, bad or unstated effect. Bad means they are markers for a detrimental trait, such as higher risks for certain diseases. Green means a marker for a positive trait, such as resistance to HIV. Hi Joshua! That made for a great read. You sure should also check out Xcode Life Sciences https://www.xcode.in/. They analyse raw data not only from 23andme and Ancestry.com but also Family tree DNA, Living DNA, Helix.com. They have recently launched an Ancestry test of their own and offer a detailed break-up of the South Asian population, something that has been in demand for a long time now. Do have a look and let me know what you think. Hi Dr. Ballard! I am Avan from Xcode Life Sciences. Thank you for showing an interest in our reports. I wanted to let you know that I have emailed you our sample reports that contain the list of all the genes that we test for. We look forward to your take on it. Thanks again. I must admit your comment regarding Agent Orange put a bit of a smile on my face. Having dealt with it on a personal basis myself I do thank you for your acknowledgement of that dreaded weed killer. Not only the FDA but the VA must truly appreciate your politically incorrect writings. Another thing you can do with your data is find out your genetic predisposition for creativity, problem solving, impulsiveness, focus and attention and other cognitive traits. You can also you use DNA to improve on these traits.